Despite Jesus' prayer that all Christians 'be one,' divisions have been epidemic in the body of Christ from the beginning to the present. We cluster in theological groups, gender groups, age groups, ethnic groups, educational and economic groups. We criticize freely those who disagree with us, don't look like us, don't act like us and don't even like what we like. 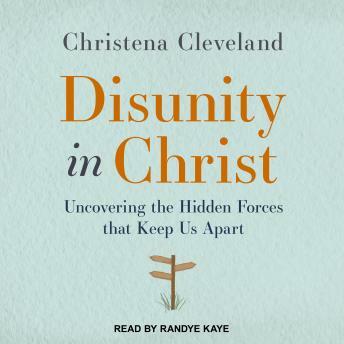 With a personal touch and the trained eye of a social psychologist, Cleveland brings to bear the latest studies and research on the unseen dynamics at work that tend to separate us from others.